Coming from a family of only one income, I chose to go to a community college before enrolling in a university making me a nontraditional student. After receiving my associates in applied science with a focus in biology, I enrolled in the School of Natural Resources at the University of Nebraska- Lincoln (UNL). I continue to be thankful to study a topic I both love and feel passionate about. My experience at UNL has enabled me to receive excellent experience in various environmental topics through my classes and extracurricular activities. One of the most rewarding ways I have been able to connect with incoming students is as a School of Natural Resources Student Ambassador. In this role, I am able to talk with prospective natural resource high schoolers and their families along with working alongside peers, staff, faculty, and alumni. There is no greater joy than talking to parents who are unsure about their children dedicating their life to natural resources, and providing them insight to prospective careers including my own passion for my career choice. Positively representing the School of Natural Resources and the University of Nebraska- Lincoln has been exceptional experience. I am a member of the Soil and Water Conservation Society. Through my membership I conducted multiple water chemistry tests with the Nebraska Watershed Network checking for turbidity, nitrate, sulfate and atrazine levels in various bodies of water in Nebraska. I am also a member of the Nebraska Woman’s Leadership Network, empowering woman to be leaders beyond their community and into the world. Additional clubs I’m actively involved in through the university include; Go Green UNL, Horticulture club, Environmental Leaders Program, Sustain UNL, and the Soil and Water Resources Club. In addition to my enrollment with school clubs, I have also volunteered for multiple years with Legal Aid Nebraska promoting floodplain awareness in local communities in Nebraska and the Nebraska Science Fest promoting scientific learning for young children. Along with my various leadership and volunteer experiences, I have worked in multiple research programs. While being a full-time student I am employed in one of the most rewarding jobs on campus. 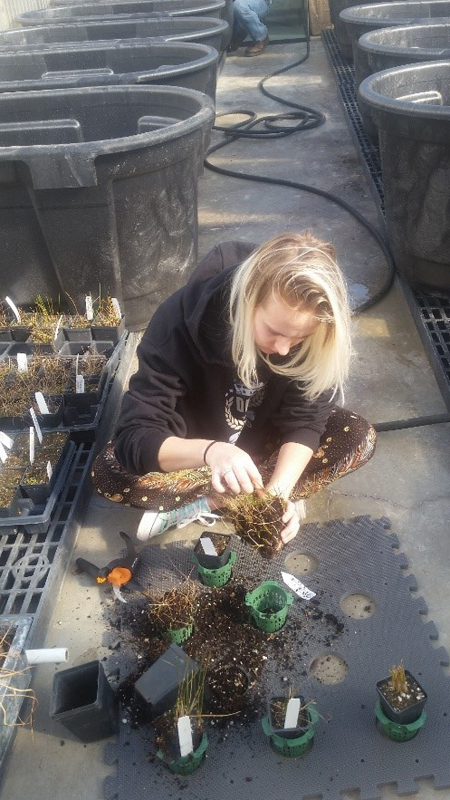 I work at the Beadle Center Greenhouse taking care of research plant species. I work closely with my colleagues’ hand making specialized soil for the needs of graduate researchers. I oversee upshifting, harvesting and ensure the plant species grow to their optimized potential. During this experience, I have worked alongside various graduate students in diverse fields, allowing me to appreciate hard work, dedication, and lifelong learning. I was also employed through the Agricultural Research Division here at UNL to conduct electrical conductivity surveys with sediments along stream banks along with water analyses in the water chemistry lab to assess the water chemical properties. I often worked strenuous hours in various weather conditions and was always optimistic and persistent. 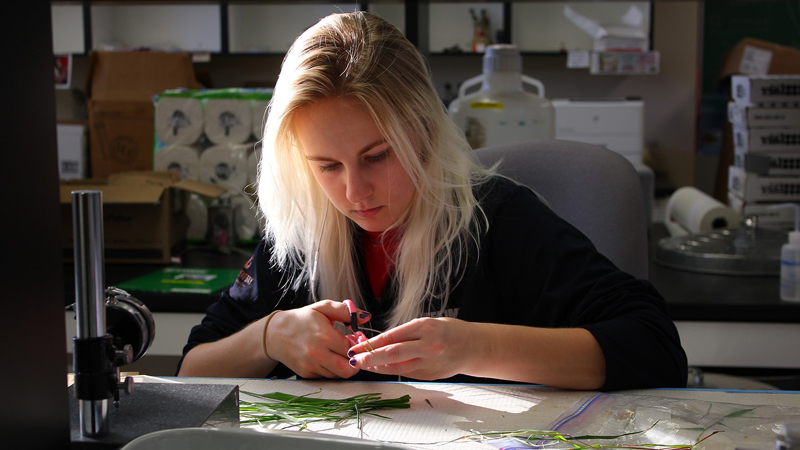 Additionally, I was funded through the School of Biological Sciences to conduct research on comparing microbe biomes in Nebraska native grassland plants and their interactions with the air quality. This allowed me to learn the importance of being attentive to details. 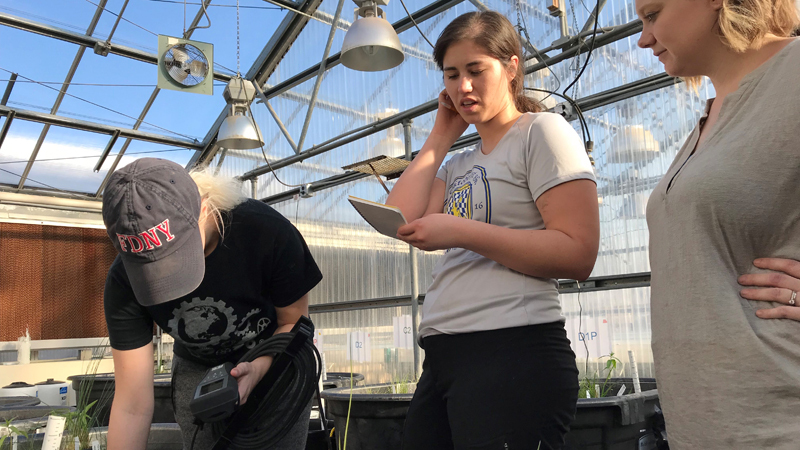 In this experiment, we had high school volunteers working with us allowing me to teach about our findings, which further developed my communication skills. 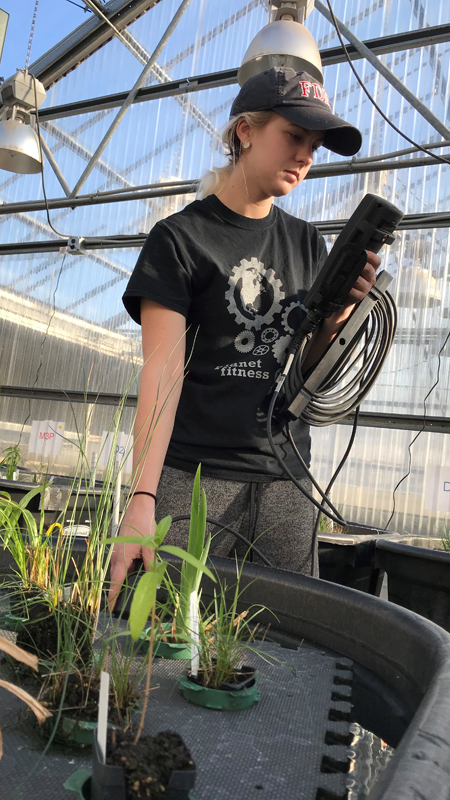 Lastly, I am currently being funded with UCARE, a competitive undergraduate research program supported by UNL, to compare different wetlands plant species and their abilities to remove nitrogen and phosphorus from lake waters in floating treatment wetland systems. This experience has required that I expand my analytical thinking and data analysis in Microsoft Excel. Results from this project are expected to pave the way for a new inventive process of lake water quality treatment using in natural designs. 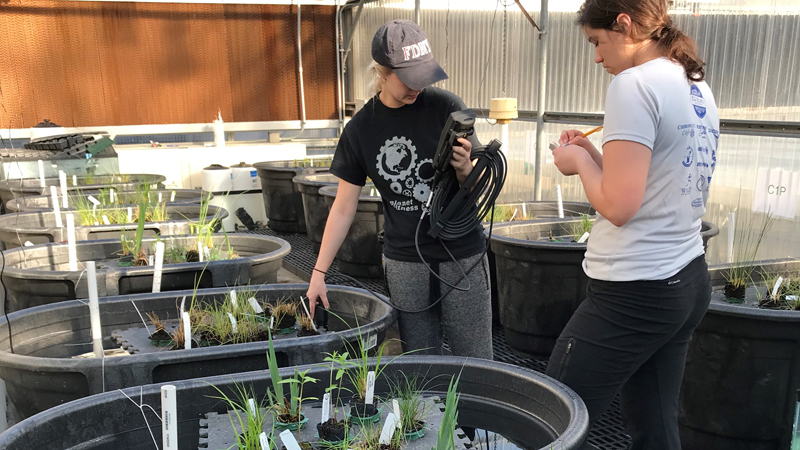 Each of these research projects has expanded my desire to learn more about the potential restoration and ecological systems could have in our ever-changing world. Therefore, I desire to prolong my schooling to receive a masters and doctoral degree. Every faculty member and graduate student I have worked with has been supportive and resourceful to my learning process. Many of them, I consider more than just a teacher or administrator, but true mentors. I hope for the opportunity to empower future students in the same way as these mentors have empowered me.